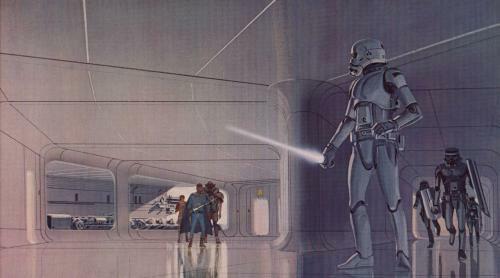 I am surprised, GrandAdmiralThrawn, that with your username you did not recognize this as the concept art of Ralph McQuarrie. Google his name and you will find a lot of really cool STar Wars concept drawings. His rendition of Darth Vader is much leaner and meaner.